"It is with great remorse that I feel compelled to speak truthfully to my friends, family and my millions of fans around the world. In the past few years, I've spent more than enough time paying the price for all those years trying to be the best there ever was as a professional wrestler. I executed excellently and my proudest claim was that I never seriously hurt or injured another wrestler in my 23 year career. I've paid a price for all that "fake" wrestling. Aside from a devastating career-ending concussion and numerous surgeries when I was younger, in recent years I've had two knee replacements, two hernia operations, surgery on my right elbow, and, just a few months ago, I underwent a four-corner fusion of my right wrist that even now makes it most difficult to write or type. Mark Helprin wrote: "We are all perfect clocks that Divinity has set to ticking when, even before birth, the heart explodes into a lifelong dance." I've had a great lifelong dance and I'm a survivor of many hard battles. I now face my toughest battle. With hesitation and fear, I openly declare myself in my fight against prostate cancer. In the next few days, I will undergo surgery with the hope of defeating this nemesis once and for all. My fans have always looked upon me as a hero and I've always done my best to live up to that in and out of the ring. I beat the odds when I suffered my stroke in 2002, but it is now yet again, that I draw upon the many adults and young children I've met throughout my life who courageously fought and usually lost in their battles against this deadly disease. One year ago, I watched a brave young man named Whesley fight brain cancer to the end. If I can find even an ounce of his courage to stand unafraid and face the tough road ahead of me, I will march toward this destiny with his spirit chanting in my ear. I make a solemn vow to all of those that once believed in me, the dead and the living, that I will wage my fearsome fight against cancer with one shield and one sword carrying my determination and my fury for life, emboldened by all the love that's kept me going this long already. Love is my weapon and I've got much of it around me all the time, for which I'm truly blessed and eternally grateful. 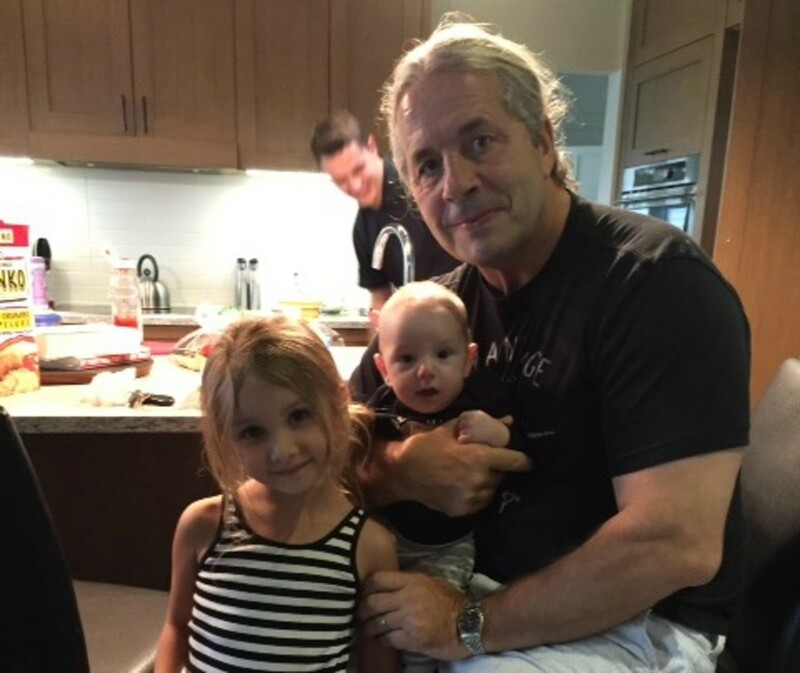 My children, grandchildren, and my loving wife Steph have been and will constantly be at my side. I refuse to lose, I will never give in or give up, and I will win this battle or die trying.